3/4 Sleeve Mandala Print Shirt. 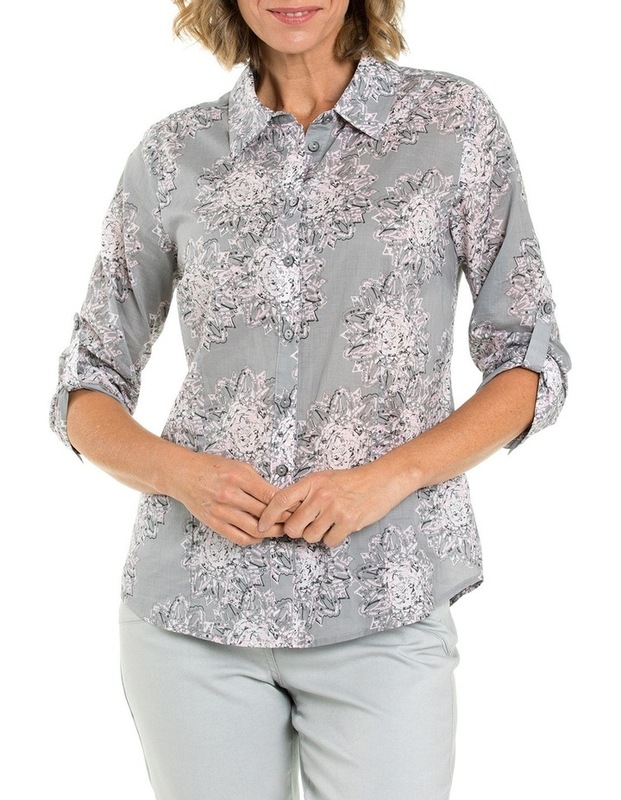 Feminine and soft,this blouse makes a fantastic addition to a transseasonal wardrobe. 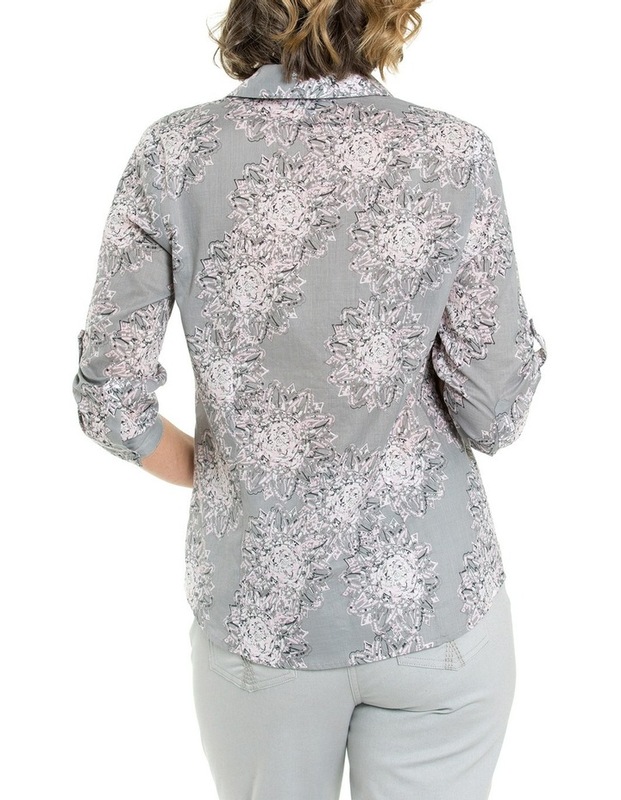 In 100% Viscose, it features a delicate Navy Crosshatch Print, raglan sleeve, curved hem and tie neckline detail.